Are you on the lookout for fitness machines for your home gym? If yes, then it is vital to know that you don’t need to purchase everything under the sun. You only need to purchase the right ones. Let’s have a look at three must-have pieces of equipment for your home gym that will help you improve your fitness level in a variety of ways. With multiple options to choose from for a home gym, the treadmill will prove to be your best choice. They are easy to use and provide the same muscle motion as you would get from running or walking outside. Having a treadmill at the comfort of your home also means that you are no longer restricted to time or the weather outside. The latest treadmills come with an interactive display and preset workout programs to make your sessions fun and easy. One of the main features of a treadmill is that they offer a low-impact, stable running surface that adjusts to every stride made by you. This ensures that you can walk or run smoothly without injuring yourself. When it comes to choosing, opt for one that is durable, assures low maintenance cost, and can offer service support to optimize the life of your treadmill. If your main goal is to lose weight, then a rower is an ideal choice of machine for your home gym. Rowing burns calories rapidly, making it a suitable addition to your home gym. If you make rowing a part of your regular workout, you would burn 10 to 15% more calories than cycling. This is because it offers a total-body workout, involving more muscles than most other sports or exercises. The primary muscles worked on the rower are the quadriceps, hamstrings, gluteus, shoulders, back, and arms. Rowing is also a solid alternative for back and joint problems. This is because it places little strain on these areas as long as you are practicing good body form while working out. 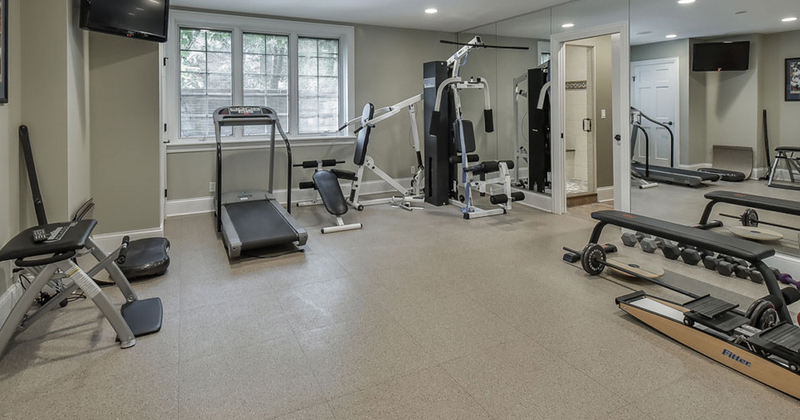 A multigym is ideally designed to fit in any small corners and will not eat up a lot of space in your home. They are equipped with chin-ups, pulleys, and weights that will allow you to perform different kinds of workout. It is the kind of equipment that will help you get a full body workout for the day. What’s more, multigyms are designed to be durable. Not only will they keep your body healthy but they will also keep your finances in check by making sure that you do not spend on maintenance. All that is required from you is that you clean the machine occasionally and make sure to use it properly. Multigyms might look complex but they are extremely easy and safe to use. They come with padded parts so you can work out safely and effectively. In addition, multigyms don’t have any weight, height, or size requirements. This makes it convenient for any of your family members to work out as well. Having your own personal equipment can be a huge investment, but this actually saves you money in the long run, especially if you purchase durable ones. If you are looking for top quality home gym equipment that is built to last, get in touch with the fitness experts at FitnessWorld.